The term Cognitive Computing often has people confused – is it the same as AI or is it something else? We’ll explain what Cognitive Computing is and what opportunities it holds for project management. Cognitive computing is a fairly new term and is often confused with artificial intelligence. Admittedly, both refer to the fact that machines think or act on their own, but there are also decisive differences. 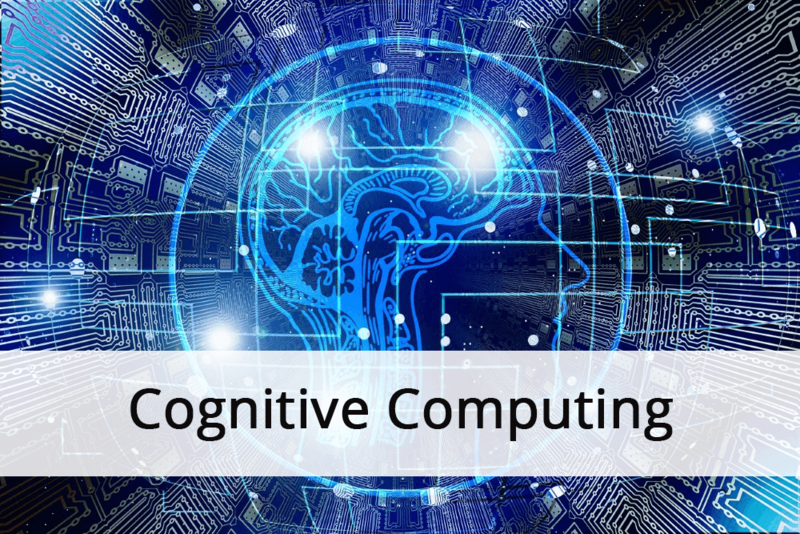 In this blog post, we will look at the term cognitive computing in more detail and explore the opportunities the technology brings for project management. Cognitive computing stands for systems that simulate human learning and thinking processes and interact naturally with humans. It is a mixture of computer science and cognitive science - the understanding of the human brain and its functioning. Self-learning algorithms that use data mining, visual recognition and natural speech processing make it possible for the computer to solve problems and optimize human processes. Other than data, human components such as facial expressions, gestures and language are included in order to be able to interact with humans. The systems learn on their own from the experiences made and the data collected. They develop their own solutions and strategies by analyzing the database. For the systems to work similarly to the human brain, communication with people and the environment must be interactive and in real time. Cognitive systems must also be adaptable and take into account that information can change or may not be clear – so information must be seen in context. That includes time, place and people that influence the meaning of information. In short: The ideal cognitive computing system uses sensory and audiovisual input to collect information and data in context and learns from analyzing that. As a result, it can understand language and communicate in a natural way, maintaining context or adapting to changing context. It is able to develop optimized solutions by weighing possible solutions against each other and selecting the best possible outcome. Cognitive computing can have an enormous impact on project management and make the work of the project manager much easier. In general cognitive computing can bring the role of the project manager to a more strategic level. The analysis of huge amounts of data and experience not only promises more efficient time and budget planning. As mentioned above, the system can understand human behavior. So by feeding it with data about employees such as their reliability, speed or accuracy and letting it gather experience from past projects, a cognitive computing system can help put together project teams depending on the context and perhaps even actively participate in the project itself at some point. But beware! Even if cognitive computing is already very close to the logical human thinking process and often finds the most efficient solution, it has its limits. It will most likely always be at loss when it comes to intuition and empathy. Remember that project management is more than just hard skills and tactical decisions, the best laid out project plan won’t work without the people working on it. Next Practice Cognitive Computing and its Impact on Project Management - InLoox • Copyright 1999-2019 © InLoox, Inc. All rights reserved.